A new website, SaveMySeat.org, graphically shows that more than 11,200 licensed child care and early child education spaces have been eliminated in communities across Los Angeles County since 2008. Many parents are now hard pressed to find the child care and early childhood education services they need to participate in the workforce. 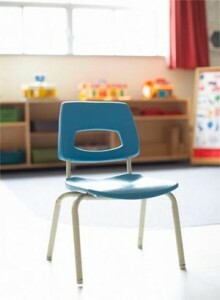 On average, there is only one seat for every five children ages 0-5 inLos AngelesCounty. Among children 0-3, the situation is even worse, about seven seats for every 100 children. The availability of care is somewhat improved for children ages 3-5, but still there are only 38 seats available for every 100 children. The loss of available childcare spaces has not fallen evenly or fairly. Low-income working class communities have been hit hardest by cutbacks. For example, Pomona lost 566 licensed child care seats, Compton lost 462 seats and Willowbrook lost 750 seats. By comparison, Santa Monica gained 424 seats. The research behind SaveMySeatLA.org estimates a 10% funding cut will eliminate 59% of available subsidized licensed childcare seats for low-income families in Los Angeles County. “The lack of access to quality child care and early education opportunities hits hard at low income working families,” says Jacquelyn McCroskey, John Milner Professor of Child Welfare at the USC School of Social Work and collaborator on the research project. “Quality child care is vital to child development and school readiness, and access to care enables parents to gain and sustain the employment they need to care for their families and develop economic security. The SaveMySeat website (www.SaveMySeatLA.org) details the loss of child care seats and the availability of care by age group and income status. The data is searchable by zip code, city, school district and legislative and congressional districts inLos AngelesCounty. The website is a collaborative research project published by the Los Angeles Children’s Data Network and research and advocacy organizations that include Advancement Project/Healthy City, Best Start LA, the Child Care Resource Center, First Five LA, Pathways and the County of Los Angeles’ Office of Child Care. John Kim is Co-Director of Advancement Project.